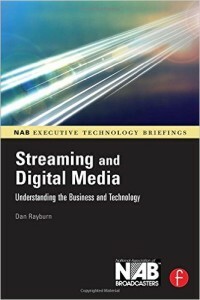 Seven years ago one of my books, “The Business of Streaming and Digital Media” was published in the NAB Executive Technology Briefing Series and I am now making the 264 page book available as a free PDF download. While the terms “streaming media” and “digital media” are very generic terms these days, and mean different things to different people, the business behind online video is the key. The kind of technology used to deliver audio and video, be it streaming, download, live, on-demand etc. really no longer matters. It’s about using the right mix of multiple distribution technologies to reach the right audience with the right type of content and that’s what this book is all about – applying the right business models. You may re-purpose content from the book as you like, as long as you don’t charge for it and you credit the source back to Dan Rayburn.